The primary goal of the Journalism Department is to prepare students to become intelligent, responsible and articulate journalists. The department is committed to the belief that the best journalism education combines a stro ng professional program with a thorough education in the liberal arts and sciences. It believes that such an education helps students to hear, understand and tell the stories of people whose circumstances or backgrounds are unlike their own. 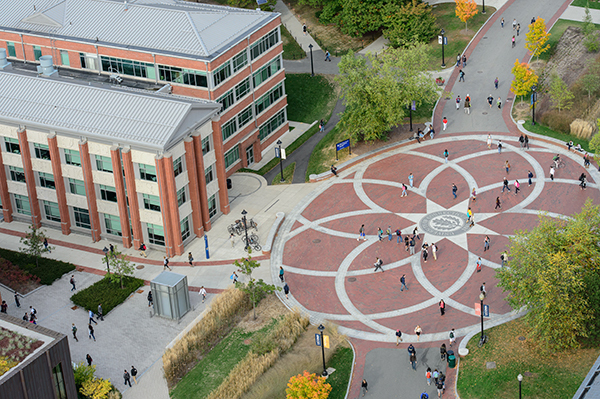 The department occupies a unique position within the College of Liberal Arts and Sciences. It is the only department whose primary mission is to prepare students for a particular career. The department should not, however, be viewed as being isolated or separated (redundant) from the rest of the college or its mission. The journalism department values the research, teaching and service of its colleagues in other departments. It values appreciates these things for their own sake, and also for the educational depth that they provide to our students. We remain committed to the idea that our majors need a strong liberal arts background to understand the world, and a strong journalism background to report on it. The department encourages its students to study other fields in depth, and to complete second majors in other departments in the college. It also encourages students from other departments to complete a second major in journalism, enhancing their educational and career opportunities. The department also contributes to the college by offering instruction to a substantial number of non-majors who seek to improve their writing, interviewing and research skills, or to learn about the news media. The Journalism Department is accredited by the Accrediting Council on Education in Journalism & Mass Communications. It is the only nationally accredited program in New England.